Billionaire Leon Cooperman is investing in one U.S. cannabis company. The hedge fund manager took a personal stake in a company called Green Thumb Industries (OTC: GTBIF). It’s the latest sign of the new marijuana boom. Go here for my top investments to BUY NOW. Green Thumb was founded by Ben Kovler. His great-grandfather – Harry Blum – co-founded Jim Beam when prohibition ended. In 1941, he bought out his partners for $1 million. That small investment launched a family fortune that continues on today. Green Thumb is focused on what Kovler calls Prohibition 2.0. Kovler founded Green Thumb Industries in 2002. 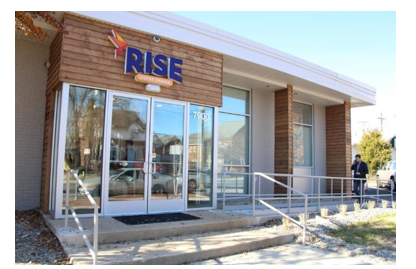 Today, the Chicago company operates 12 dispensaries in Maryland, Massachusetts, Nevada, Pennsylvania and Illinois. Green Thumb attracted $45 million in capital from private investors. Plus, the company raised another $59 million in its IPO transaction. Cooperman started his career at Goldman Sachs (NYSE: GS) before launching his own hedge fund called Omega Partners. Since the early 1990s, his fund has beaten the S&P 500 with annualized returns of 12.4%. Today, Cooperman’s fund has $3.6 billion in assets under management. Most of that money belongs to Cooperman and his family. Cooperman is a well-known value investor . . . The rapid growth of the industry probably caught his attention. In late August, Green Thumb reported impressive quarterly financial results. Revenues surged 291% to reach $13.6 million. And the company reported net income of $400,000, compared with a loss of $1.6 million in the year-earlier quarter. Green Thumb also has a healthy balance sheet. It has less than $8 million in debt and has $113 million of cash. The company is using its IPO proceeds to acquire a cannabis license in New York state. Plus, it’ll build out five dispensaries in Ohio. With eight manufacturing facilities and licenses for 59 retail locations, Green Thumb has ambitious growth plans. A Green Thumb dispensary in Silver Spring, Maryland. The stock has been rallying recently. It’s up 58% since the Aug. 28 earnings report and news of the Cooperman investment. The company’s market value has surged to $2.3 billion. Here you can see the stock performance since the mid-June IPO. Shares of Green Thumb have already taken off. Yet a select group of cannabis stocks are very UNDERVALUED in the new marijuana boom. Get all the details inside my urgent briefing on the new marijuana boom. Click here now – it’s FREE.